Here’s my take: we have to be be strong and hold on just like this leaf is doing! Beautiful image and symbolism. Well done. Great interpretation of the assignment. 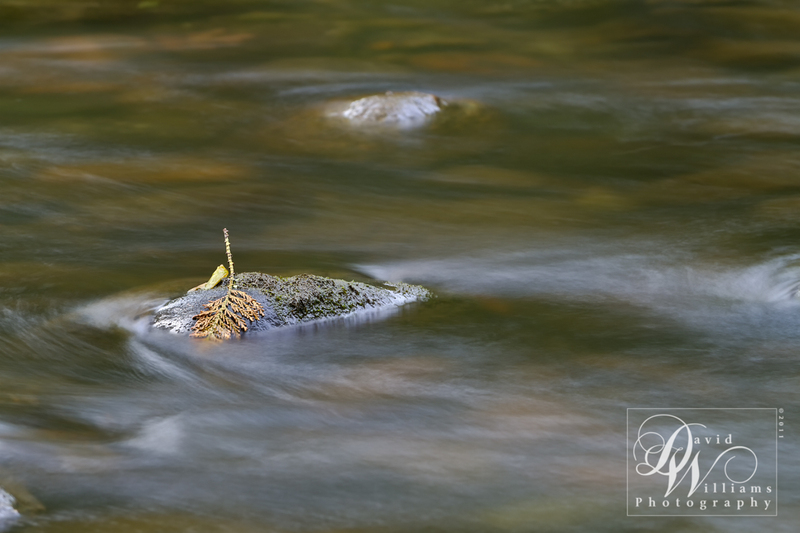 I like the effect of the slower shutter speed on the flow of water around the rock. Nice. Nice image. I like the combination of motion and stillness. Yeah holding in with determination amidst of turbulent flow. Thank you for your comment as well as visiting. Good to see your blog post David. Ditto with what Brandon commented. I like the warm lighting too. Perfect interpretation! As much as I want to look around at the silky water, my eye can’t come off that well illuminated leaf.